Could Prize-Based Competitions Help Pacific Northwest Shellfish Cope With Acidic Seawater? April 1, 2019 — As human activities continue to add greenhouse gases to the planet’s atmosphere, the oceans absorb nearly one-third of all CO2 emissions. Through a series of chemical reactions, increasing CO2 levels in the ocean have caused seawater to become 30% more acidic over the past century. This process, termed “ocean acidification“, can disrupt animals’ abilities to smell, regulate their metabolism, and build their shells. The Pacific Northwest region of the United States, where many economically and culturally valuable fisheries and shellfish farms exist, is especially vulnerable to ocean acidification. The shoreline that stretches from northern California to Alaska is the final destination for globally circulating seawater that accumulates nearly 1,000 years worth of CO2 from the respiration and decomposition of flora and fauna. Seasonal “upwelling” of these millennium-aged deep sea waters and additional CO2 from human activities makes them particularly acidic. Thus, understanding how these acidic waters affect the $220 million Dungeness crab fishery and the $9.4 billion mussel, clam and oyster farming industries in Washington (among many other potentially susceptible operations) is becoming increasingly urgent. Earlier this week, four United States Congressmembers from Washington, Oregon and Alaska reintroduced a bill called the “Ocean Acidification Innovation Act”. Just like its predecessor from 2017, this bill would allow federal agencies to run prize-based competitions that would increase capacity for studying ocean acidification and mitigating its impacts. March 29, 2019 — The California Dungeness crab season will come to an early end this year on April 15 — three months ahead of schedule — leaving millions of dollars of product in the water. The fleet opted for the early closure to settle a lawsuit over whale entanglement rather than risk the possibility of an indefinite closure. At issue is a 2017 lawsuit in federal court by the Oakland, Calif.-based Center for Biological Diversity that argued the state of California and fishermen were in violation of the Endangered Species Act after a three-year spike in whale entanglements in Dungeness crab fishing gear from 2014 to 2017. 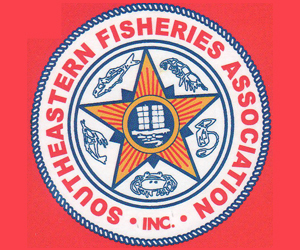 The lawsuit sought the closure of the state-managed fishery until a federal incidental take permit was established — a process that could take years to implement. Commercial fishermen, state regulators and biologists had convened a California Dungeness Crab Fishing Gear Working Group in 2015 to find ways to limit whale entanglements while avoiding the burdensome federal incidental take permits. A preliminary count for 2018 showed 45 whale entanglements on the West Coast, compared with 31 confirmed entanglements in 2017. Between 2000 and 2014, the West Coast saw an average of 10 entanglements per year, according to NOAA data. March 28, 2019 — After five weeks at sea, a team of 21 scientists from five countries returned Monday with some surprising findings about the mysterious lives of salmon in the Pacific Ocean, according to Laurie Weitkamp, a salmon biologist with NOAA’s Northwest Fisheries Science Center in Newport, Oregon. “It was quite an experience,” said Weitkamp, one of three chief scientists aboard the Russian research vessel Professor Kaganovsky. The expedition was part of activities associated with the International Year of the Salmon and was meant to look at how salmon fare in the open ocean. Among the surprises that emerged from the cruise was the relatively small number of pink salmon. Pinks, the most abundant salmon in the Pacific Ocean, normally make up about half of all the salmon in the region. Yet during the expedition — which covered some 345,000 square miles — pink salmon made up only about 10 percent of the salmon caught in the researchers’ nets. “We kept asking, ‘Where are the pinks? Why aren’t you here?’” Weitkamp recalled. March 28, 2019 — Sardine fishermen in Monterey Bay are facing a fifth straight year of restrictions on the amount they will be permitted to catch, creating financial hardships for the commercial industry. A new draft assessment from the National Marine Fisheries Service indicates a sardine population of 27,547 metric tons. 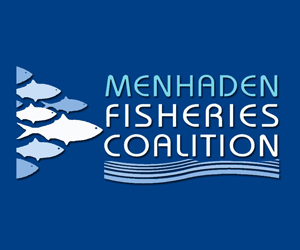 According to the Fisheries Service, any tonnage below 50,000 metric tons is considered “overfished.” That’s a 98.5 percent collapse since 2006. The restriction, which would essentially cancel the 2019-2020 commercial sardine season, must be applied when populations drop under 150,000 metric tons, said Geoff Shester, senior scientist with the Monterey office of Oceana, a marine environmental watchdog group. The collapse is a result of overfishing, Shester said. Sardine populations go through natural cyclical fluctuations, but to see numbers this low is caused from over-fishing. March 27, 2019 — There won’t be any boats pulling bulging nets of fresh sardines out of the ocean along the West Coast this year after another dramatic decline in population virtually guarantees a ban on the commercial take of the tiny schooling fish. The northern Pacific sardine population, stretching from Mexico to British Columbia, has plummeted 98.5 percent since 2006, according to a draft stock assessment released this week by the National Marine Fisheries Service and the Pacific Fishery Management Council. It means regulators have no choice but to ban sardine fishing for the fifth straight year starting July 1 from Mexico to the Canadian border. March 26, 2019 — Overfishing is rapidly pushing many of the world’s sharks and tunas toward extinction. The world’s fastest known shark, the shortfin mako, for example, was recently uplisted to endangered on the IUCN Red List, its decline mostly attributed to overfishing. But researchers are only beginning to figure out where and when people fish them the most. Now, a new study has some answers. By analyzing the trails of more than 900 fishing vessels and more than 800 sharks and tunas in the northeast Pacific, researchers have identified regions where the two tend to overlap. This information, researchers say, can be used to manage fisheries, especially in the high seas, the swaths of ocean that lie beyond the jurisdiction of individual countries. The Global Sustainable Seafood Initiative is pleased to announce that Seattle Shrimp & Seafood Company has joined the GSSI Global Partnership as a Funding Partner. Seattle Shrimp & Seafood Company is a global supplier of shrimp and shellfish. 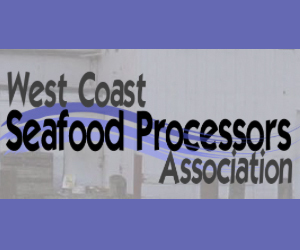 Seattle Shrimp & Seafood Company works with GSSI recognized schemes BAP and MSC. 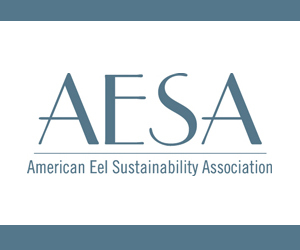 “Seattle Shrimp & Seafood Company is proud to be partnering with the Global Sustainable Seafood Initiative and its supporters as an acting member and Funding Partner. We are extremely excited for the opportunity to collaborate with organizations from industry and NGO sectors that are committed to the long-term preservation, sustainability and growth of global fisheries,” said Atsushige Amano, President of Seattle Shrimp & Seafood. March 20, 2019 — Seafood producers that have achieved meaningful sales volumes in domestic markets have been enhancing revenues and sparking enterprise growth through exports and brand penetration in foreign markets, especially Southeast Asia. In this regard, there are numerous opportunities to broaden sales of already popular products, satisfy demand for products that may not have a thriving market at home, and introduce new species and value-added products to offshore audiences eager to try new seafood options. Of course, identifying export opportunities and establishing a sustainable presence demands considerable effort on the part of the exporter. Belle Cove, a producer of Maine lobster, has found that North American shellfish, including lobster and snow crab, are very popular in Asian markets. The Alaska Seafood Marketing Institute ASMI has taken a more proactive and informative approach. By positioning ASMI-backed products – including salmon, pollock, crab, and cod – as sustainably managed and wild-harvested, and subsequently promoting these attributes to different market sectors (consumer, foodservice, retail), the organization has successfully maintained a presence in Asian markets, primarily Japan and China, for more than 20 years. March 19, 2019 — Conservationists are pushing a $1 million effort this summer to change the way swordfish are caught off the California coast by phasing out the use of gill nets. They are the mile-long nylon nets used to catch swordfish but that also ensnare other species, causing conservation organizations to seek an end to their use. Commercial fishermen can use gill nets now, with a drift gill net shark and swordfish permit from the Department of Fish and Wildlife. 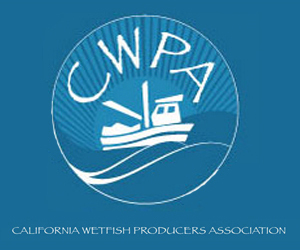 But a new California law will officially ban gill nets as of January 2023. 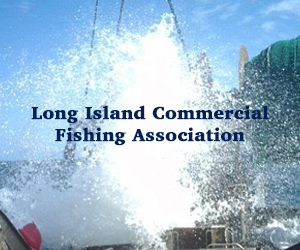 The law requires the department to establish a voluntary “permit transition program” that will reimburse fishermen for giving up the use of gill nets. The state has set aside $1 million in public money for the program and an additional $1 million will be sought in private donations. 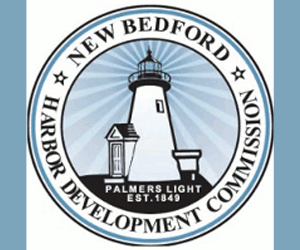 The law requires the state to establish a volunteer “permit transition program” by March 31, 2020, which will serve as the mechanism for the reimbursement program. “California is one of the last places globally that still allows these wasteful fishing nets to be used, so it’s high time the Golden State transitions to cleaner, more sustainable fishing gears to provide a domestic swordfish product to Californians and visitors alike who enjoy local seafood products, said Ashley Blacow-Draeger, a spokeswoman for the ocean-conservation organization Oceana. Cooke Inc. Acquires All Seas Wholesale, Inc.
Cooke Inc. (“Cooke”), a New Brunswick company and parent of Cooke Aquaculture Inc., has acquired All Seas Wholesale, Inc. of California, a distributor of up to forty species of fresh seafood, live shellfish, and frozen seafood products. The transaction was completed in mid-February of this year. For 33 years, All Seas Wholesale, Inc. has been proudly servicing the San Francisco Bay area’s hotels, country clubs, airline & event caterers, upscale retail markets, and restaurants as a same day purveyor of the finest quality seafoods. The terms of the transaction have not been disclosed as both companies are private family-owned businesses. 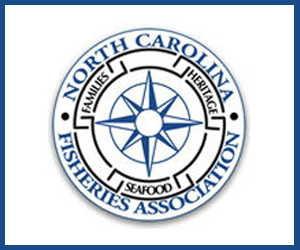 Cooke Inc. is showcasing it’s fresh, sustainable True North Seafood Company branded products this week in Boston, MA, at Seafood Expo North America, in booths 1133 & 1233.